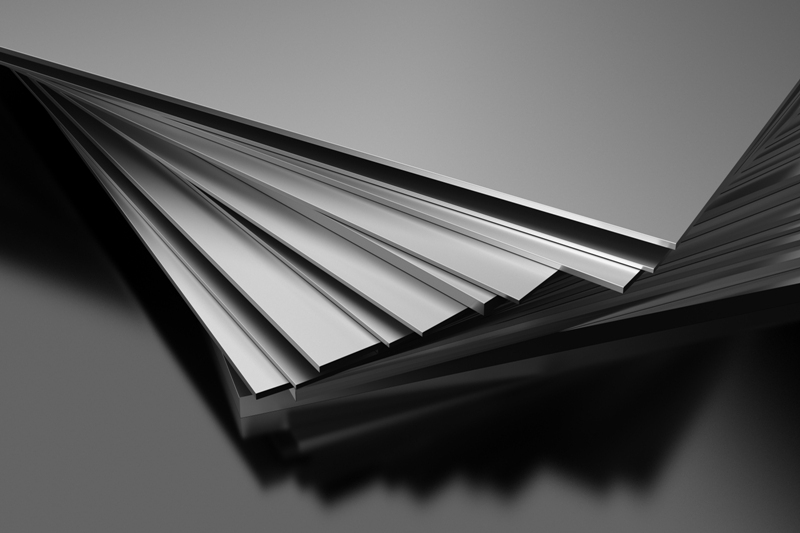 Aluminized Steel Has the Best Characteristics of Aluminum and Steel | Hascall Steel Co. Both aluminum and steel are ideal manufacturing materials; aluminum boasts extreme resistance to corrosion, while steel is notable for its superior strength. They both have weaknesses, however. For instance, carbon steel does not have enough chromium to create an oxide layer that would protect it from rust. Meanwhile, pure aluminum is much weaker than steel. Metallurgists combined the two to produce a better compound material — aluminized steel. If you want the complete list of aluminized steel’s physical and chemical properties, Hascall Steel Co. will be happy to share it with you. For now, let’s explore the main characteristics of this material. Aluminized steel is carbon steel that has been coated with an aluminum-silicon alloy through a process called hot-dipping. The technique creates a tight metallurgical bond between the base metal (the carbon steel) and its alloy coating to give the new material a combination of steel and aluminum’s best characteristics. Aluminized steel has steel’s strength while also maintaining aluminum’s advantageous surface qualities. It also has good formability, too, so metallurgists can bend, fold, corrugate, and roll it without breaking. High Temperature Resistance – the aluminum-silicon coating of aluminized steel makes the material resistant to high temperatures. In fact, it can withstand up to 900° F, much higher than galvanized steel’s limit of 392° F.
Low Thermal Expansion Coefficient – Aluminized steel has a relatively lower thermal expansion coefficient, which means it’s less likely to deform under heat stress. This is its advantage over stainless steel. Corrosion Resistance – Aluminized steel is more corrosion-resistant than both carbon steel and aluminum because the aluminum oxide that forms during hot-dipping protects the base metal. Aluminized steel is relatively new in the industry, but it has already become a material of choice for its unique set of properties. Additionally, it’s more economical than common materials like stainless steel. There are two types of aluminized steel depending on the purity of its coating. Type 1 aluminized steel has a coating that’s around 5-11% silicon. Metallurgists usually use this in equipment that requires extreme heat resistance, like cooking and heating. Meanwhile, type 2 aluminized steel has a pure aluminum coating, which is often thicker than type 1’s coating. Manufacturers usually use this in cladding and jacketing over insulation. Aluminized steel is commonly used in applications involving high temperatures and corrosion resistance. Its resistance to high temperatures makes it ideal for incinerators, ovens, heaters, kitchen ranges, and barbeque burners. Additionally, the aluminum-silicon coating doesn’t rust or affect the flavor of food, making it sanitary for cooking ware like baking pans and pots. Its resistance to corrosion, meanwhile, makes it great for HVAC components and pipes in industrial facilities that carry corrosive liquids. Aluminized steel is ideal for various applications. Your facility, however, should source your aluminized steels from a trusted steel service company like Hascall Steel Co.
We take great care to select and process our products to your exact specifications. We can offer aluminized steel tailored to certain physical and chemical properties like tensile strength, yield and elongation, and Rockwell hardness. Whether you want steel that is slit, sheared, cut-to-length, or blanked, Hascall Steel Co. has you covered. Drop by our shop at, call us at (888) 579-5902, or fill out our online form for more information about our services.